Centralina Body Computer cod. 8637A9 / G8C-937M-F0Z00 / 29Y4TH2. Mitsubishi Space Star 1.2 anno 2014. Orari: Dal Lunedì al Venerdì dalle 9:30 alle 13:00 e dalle 14:30 alle 18:00. 0692915058 / Cell. SCATOLA FUSIBILI. per MITSUBISHI COLT VII (cz_). 1.1 benzina (55 kw) 3 porte. SDA gruppo. IN PERFETTO STATO. Cod: 8637A643. Centralina scatola fusibili per Mitsubishi Outlander Mk2 2007-2012. Ricambio originale Mitsubishi usato. Centralina Body Computer portafusibili cod.8637a020. Smart Fourfour. In Scadenza. Nuovi Arrivi. Restituzione Prodotti. Iscriviti Ora. L'integrità del bene da restituire è condizione essenziale per l'esercizio del diritto di recesso. Centralina Body Computer portafusibili cod.8637a020. Smart Fourfour. Orari: Dal Lunedì al Venerdì dalle 9:30 alle 13:00 e dalle 14:30 alle 18:00. 0692915058 / Cell. Manufacturer Part Number (MPN): MU840021. Mitsubishi Grandis (2004 - 2010) - 2.4 l. only. MItsubishi Colt (2004 - 2012) - all engines. We cannot be held responsible for parts ordered for the wrong application. MITSUBISHI FTO mivec 2.0 V6 Scatola dei fusibili ECU, vari elettrico. Fuse Box, Relay box, ECU and most of the wiring harness. Ignition barrel but no key. Suitable for Mitsubishi Delica,Shogun,Pajero,L200. MITSUBISHI 80 AMP FUSE (MALE). (BLACK FUSE). New unused quality component. From a year 1996 Mitsubishi Delica L400 2.8 Turbo Diesel. Automatic Gearbox. We believe this part fits models in the years indicated. Based in Halifax, West Yorkshire, we will do all we can to ensure you get the OEM parts you want, at an unbeatable price. Mitsubishi Outlander (SUV) Bj. der Identifikation der Fahrzeuge und -oder Fahrzeugtypen. Alle Angaben ohne Gewähr. Zudem beraten wir Sie gern rund um das Thema Import. ob neu oder gebraucht, und das zu besten Preisen. OUTLANDER 2013 -2018 Mk3. Make / Model:MITSUBISHI OUTLANDER. However, it should be of fully serviceable quality. Warranty on engines only covers engine block and cylinder head. 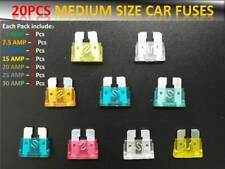 It is used in many different applications Citroen, Ford, Mazda, Mini, Peugeot and Volvo. Aus Fahrzeug Mitsubishi Outlander 3 / III. Halter abgebrochen. bei Beschädigung oder Entfernung dieser erlischt jeglicher Anspruch auf Rückerstattung der Kosten. Mitsubishi ASX. Make Mitsubishi. Fuel Type Petrol. Body Colour White. Engine Code 4A92. Paint Code W37 W37A. Body Type SUV. Chassis Number JMAXNGA1WDZ001294. Pajero Pinin (H60W). Parti usate sono utilizzati, il che significa che queste parti sono di solito sempre indossare. Possono graffiare, ammaccature, urti, abrasioni ed essere sporca. Interni in pelle. Mitsubishi ASX. Driver Position Engine No Plastics and Carpets we always advise cleaning/valeting before fitting. Donor Vehicle. Donor Vehicle Passenger Side. 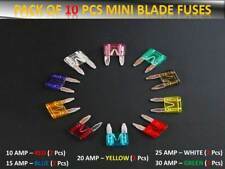 PCS Part ID. Mitsubishi ASX. 10 x 10 x 10 cm. Your warranty only covers the cost of the part itself and not any labour costs incurred in fitting / removing the part.more. Plastics and Carpets we always advise cleaning/valeting before fitting. Part Number 8637A869. Factor Number: 8637A869. 2015 MITSUBISHI OUTLANDER Fuse Box. This item has been removed from a: 2015 MITSUBISHI OUTLANDER. Fuel type: Petrol. Year: 2015. Model: OUTLANDER. Make: MITSUBISHI. Scatola fusibili / fusibili MITSUBISHI OUTLANDER 2.2 di-d kaiteki plus, Anno: 2007. Chiedi questo codice interno: 782389. Vendiamo veicoli preselezionati dalla nostra flotta associata. MPN 8637A318. Der Identifikation der Fahrzeuge und -oder Fahrzeugtypen. Alle Angaben ohne Gewähr. Pajero Pinin (H60W). 2,0 GDI 16V 4G94. (zu 2)/ (zu 3). Für eine einwandfreie Optik ist es notwendig die Stoßstangen, Kotflügel, Heckklappen Türen und Motorhauben zu lackieren. Innerhalb einer Baureihe gibt es zu viele Änderungen, die wir hier nicht alle berücksichtigen können. Part Number: MR445951 B. 1999 - 2006 Mitsubishi Shogun MK3 3.2 DI-D ETACS Unit. We will do our upmost to ensure this is the case on each and every occasion. We are a bonefide 'End Of Life' Vehicle Dismantlers situated in East Devon. ENGINE CODE: 4N14. Engines must be fitted with new oil, filters and timing belt or chain. In the event that a part is supplied and proven to be incorrect or faulty, Manor Auto Salvage must be notified within 48 hours. 8637A647 | 582F11F03. 440756 - CAJA RELES / FUSIBLES MITSUBISHI ASX (GA0W) Motion 2WD | 07.11 - 12.17. Motion 2WD. Caja de cambios 5 velocidades. Do you want us to assure you that this piece corresponds to your vehicle?. Scatola fusibili / fusibili MITSUBISHI MONTERO 3.2 DI-D GLX Hunter, Anno: 2004 MR445952. Codice interno per informazioni: 682231. SCATOLE RELAZIONI / FUSIBILI MITSUBISHI MONTERO 3.2 DI-D GLX Hunter, Anno: 2001. Vendiamo veicoli preselezionati dalla nostra flotta associata. Alloy wheels and tyres. we have full testing facilities and send them out fully tested for flat spots and punctures. Alloy Wheels and Tyres. GLASS AND BODY PANELS. SECURITY MARKS. BMW 325ti Compact 2001 SILVER. 2008 MITSUBISHI PAJERO SHOGUN IV / DESTRO ETACS ant. SCATOLA FUSIBILI 8637a157. Manufacturer Part Number 8637A157. Reference OE/OEM Number 8637A157. MITSUBISHI PAJERO. 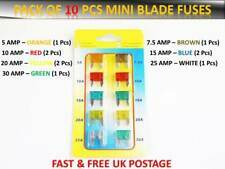 Item Specifics:2013-2018 - 1.2 PETROL - FUSEBOX. Part:Fuse Box. 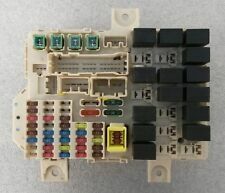 This Fuse Box was removed from a2014 car and has been fully inspected. 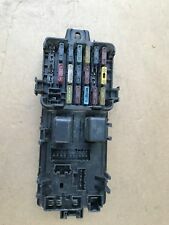 MITSUBISHI SHOGUN SPORT MK3 2.5TD 00-06' FUSE BOX UNIT MR409811,AS PICTURED.PART WAS REMOVED FROM MITSUBISHI V60 MK3 SHOGUN SPORT EQUIPPE 2.5TD, 4X4, ENGINE SIZE 2.5 (2477cc) DIESEL, 2001 (51 reg), 5 DOOR, 5 SPEED MANUAL GEARBOX, ENGINE CODE: 4D56, MILES 144.243 GENUINE MILES, IN BLUE, COLOUR CODE: T38, TRANS AXLE: V5MT1. Caja fusibles MITSUBISHI LANCER VII 2000 Diesel CS_A, CT_A. Referencia : 8637A466, Motor: 2.0 did, 5 puertas Código interno: 142660. Nós podemos verificar isso. Wir können es überprüfen. Nous pouvons le vérifier. 2015 MITSUBISHI OUTLANDER Fuse Box. This item has been removed from a: 2015 MITSUBISHI OUTLANDER. Year: 2015. Model: OUTLANDER. Make: MITSUBISHI. Fuel type: Diesel. Part Type: Fuse Box. Part Information Includes:-. Código interno: 904294. 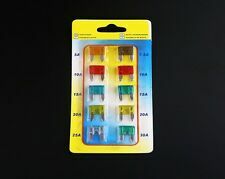 Caja reles / fusibles MITSUBISHI L 200 Cabina doble Intense 4x4, Año: 2006. Referencia : 8637A592. Wir können es überprüfen. Nous pouvons le vérifier. MITSUBISHI PAJERO ESTATE LWB. as All parts are off a UK Right handDrive Car. If You want to collect all my. ALL MOUNTING LUGS GOOD. PART OF IRELAND OR CHANNEL ISLANDS AND EXCLUDES THE.